UCF QB McKenzie Milton put on a show this past weekend, vaulting himself back into the Heisman talks as we move along. 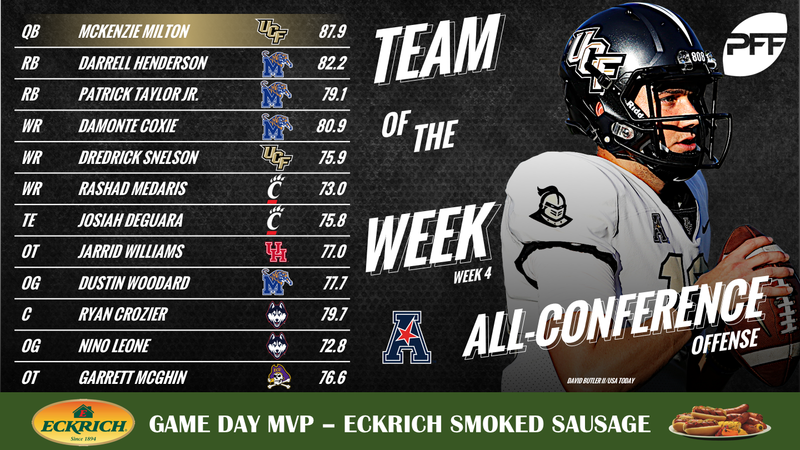 Before we head to Week 5, however, we take one look back at the top individual performances from Week 4 in our AAC Team of the Week. 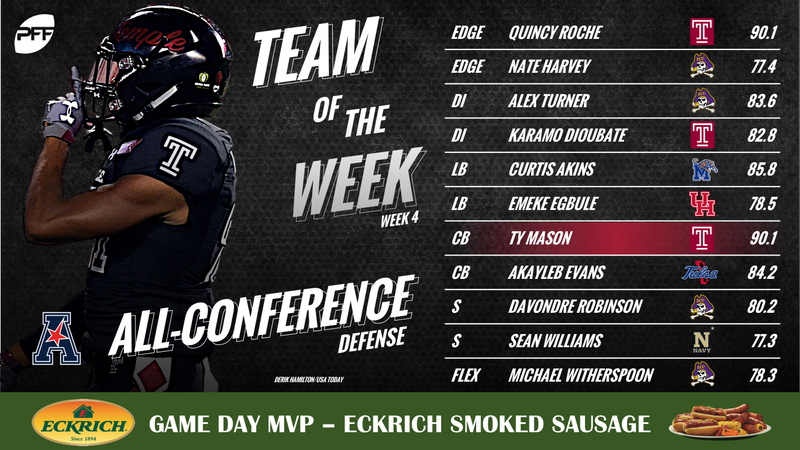 The AAC Team of the Week is brought to you by Eckrich, the Official Smoked Sausage of the College Football Playoff.